The ancient Polynesian royalty (the ali'i) first settled the wide Wailua River on the east shore of Kauai, building seven temples (heiaus) from the shore and along the river's banks to its origins at Mount Waialeale—the "birthplace of all waters." Gardens along the fertile valley were the most abundant in Hawaii. 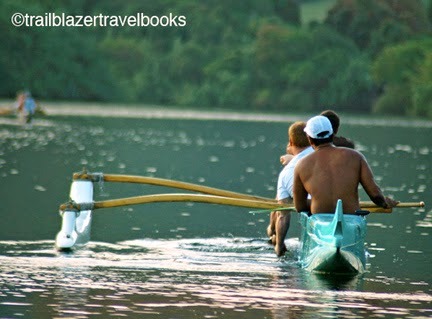 Today, the wide river mouth is an ideal training ground for the island's numerous outrigger canoe clubs. Paddlers venture from the bay-like waters into the surf of Wailua Bay. The Wailua River is also Hawaii's most-popular kayaking spot. 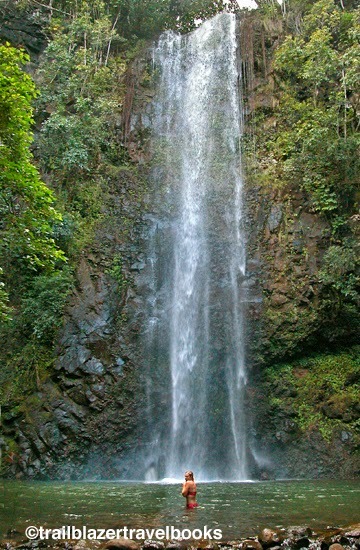 Individuals and tour groups stroke about a mile upstream, taking the north fork past Kamokila, a re-created Hawaiian village where the movie "Outbreak" was filmed. The water journey peters out at shallow rapids, where a trail leads about a mile to Uluwehi (Secret) Falls.